When you think of the word “unplugged,” what comes to mind? Is it being in a Zen-like trance sitting on the beach in Cabo? Or is it listening to a stripped-down version of the famous Nirvana song, The Man Who Sold the World. Perhaps it’s being off the grid in some remote part of South Dakota! As you can see, there are plenty of ways to define “unplugged.” But have you ever thought of it in terms of an “unplugged” workforce? You know, employees who aren’t tethered to a desk for work or don’t have a company email or easy access to the intranet. Plenty of organizations have mobile workforces. Hospitals, manufacturers, retailers, hotels and construction companies to name a few. According to Google, 80 percent of the global workforce—approximately 2.4 billion people—is made up of deskless workers. That’s right, 80 percent! This should come as a huge wake-up call for companies still relying on traditional methods of communications. Why? Because no one has the room to risk eight out of 10 people missing an important message. Even worse, the lack of engagement and feelings of isolation that can result from a disconnect is a sure-fire way to kill company culture. Years ago, reaching mobile workforces required a lot of time. It meant scheduling face-to-face meetings and pulling people away from their jobs. Or it meant creating a poster or flyer and plastering it in every breakroom and bathroom, hoping people would take the time to read it. With the introduction of the internet and email, this outreach to mobile workforces got a little easier. But it certainly isn’t a panacea. Plenty of studies show how company-wide email and an intranet still don’t hit the mark. 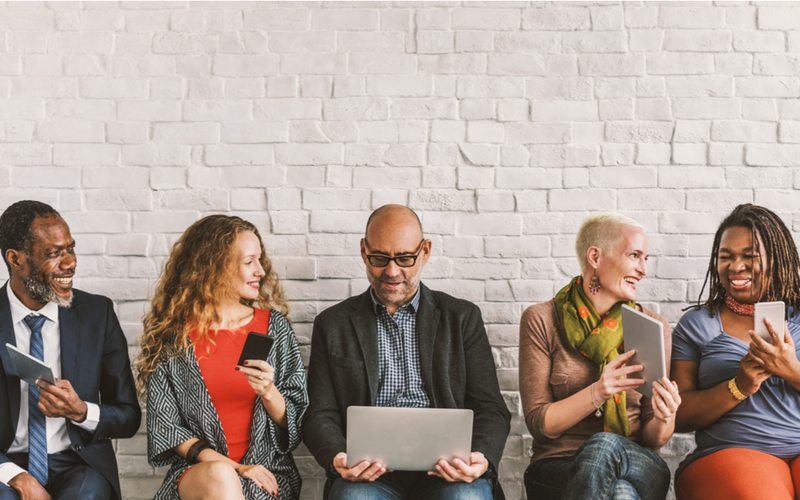 The good news is technology is making it easier than ever for communicators to connect with employees through channels that are not only convenient but also comfortable to them. A recent survey by APPrise Mobile found that 56 percent of respondents felt connected and engaged by their employers. While that’s not terrible news, it certainly shows that there’s plenty of room for improvement. In fact, nearly one in three respondents (29%) said more frequent and effective internal communications would positively affect their views on their job. This, of course, is music to our ears because we know the power of effective internal communications. So, as mobile workforces continue to grow, what can communicators do to keep pace? We recommend starting with an assessment of your current communications methods. From there, you can more clearly see what can be done to reach your employees more effectively. We think you’ll find the answer lies in mobile platforms that offer employees three F’s: flexibility, functionality and a little fun. Although we all know the power of mobile platforms, it probably comes as no surprise that many companies are slow to implement these new technologies. For a lot of leaders, it feels like a revolving door of kitschy tools that all promise to solve the greatest communications challenges. It’s hard enough to keep track of all the products, let alone be an expert in what each of them does. Yet, we’re all facing the same question. Which communications tools best meet our employees’ needs while saving us time, energy and money? Unfortunately, there’s no magic bullet. There are project management tools like Asana, Basecamp and Trello. And document storage platforms like SharePoint. Then there are your instant messaging apps such as Chanty, Skype for Business and Slack. And then there’s the Facebook-like social networking channels designed to improve communications, collaboration and culture-building like Chatter, Jive, Facebook Workplace and Yammer. In addition to these tools, there are some platforms out there that allow companies to communicate with employees beyond generic emails and newsletters. One that comes to mind is theEMPLOYEEapp. Another one that used AI-powered content delivery to personalize messages is Cerkl. And let’s not forget there are tools available for measuring employee engagement such as the one Emplify offers. Now, there are plenty of articles out there for you to learn more about the products themselves. We’re not here to sell you on any one product. Instead, we want to focus on how you can use these tools to improve your internal communications. But first, let’s look at why internal communications matters more today than ever. In the early 90s, a major shift occurred as companies began to transition from a more product-based perspective to one of a service knowledge-based one. William Kahn noted in his 1990 article Psychological Conditions of Personal Engagement at Work, companies started focusing more on customer service. As a result, more emphasis was placed on employee engagement and satisfaction, since much of a customer’s experience comes from the interaction he or she has with staff. As part of this evolution, organizations began to view their people as assets, not liabilities. And they started engaging with employees in more meaningful ways. Interestingly, during this time, researchers found that employees weren’t motivated by typical extrinsic things like supervision, working conditions or even salary. Instead, they determined these so-called hygiene factors contributed to lower job satisfaction rates. So, what factors do they say lead to higher satisfaction? Intrinsic things like achievement, recognition, responsibility, growth. Not to mention the work itself. And it’s no surprise that many of these intrinsic factors can be enhanced by better internal communications. Internal communications can be tough, particularly in large, matrixed or dispersed organizations. And it can be even harder for companies that have large mobile workforces. No doubt, tapping into these deskless employees takes some work. But, as we’ve mentioned, technology, notably mobile apps, can help improve employee communication and collaboration. More importantly, technology can take some of the guesswork out of the equation for you. Here are three ways mobile platforms can enhance your internal communications efforts. One of the greatest advantages of mobile apps is the level of involvement it affords employers and employees. They enable employers to deliver relevant content and/or make information accessible at a time and place that’s convenient for the employee. And it allows employees to engage with the content in a way that’s familiar—and acceptable—to them. Involvement in this way is becoming increasingly more important as younger, tech-savvy people continue to make their way into the workforce. Unlike some of their older colleagues, X- and Y-generations grew up with computers and smartphones. As a result, they’re very comfortable weaving in and out of their personal and professional lives on their handheld devices. One minute they’re uploading an Instagram photo. The next, they’re sharing the latest video posted to their company’s YouTube channel. They not only want, but expect, people to communicate with them using the latest and greatest technology. And it should certainly come as no shock that email feels about as outdated as Facebook to this population of employees. Using mobile apps with this population will feel more natural, and you’ll likely see faster adoption and more involvement as a result. The level of involvement that comes with a mobile app is also important for people who split their time between a desk and the field. A colleague recently shared with us how frustrated she was at staying in the loop at work. Her role requires her to spend 75 percent of her time in the field. Yet, she struggles to get emails and other timely information without physically plugging her laptop into her desk at the office. The problems were due, in part, to an archaic system, an overzealous firewall and an almost nonexistent IT department. Imagine if she and her colleagues took the conversation off email and, instead, used an instant messaging app to communicate and share important information and other documents via their smartphones. How much easier do you think her job would be? And how much more effective do you think she’d be in her role? Exactly! When it comes to mobile workforces, one of the biggest challenges is keeping folks connected. Not just to each other, but also to leadership, customers and the work itself. Apps that are designed with mobile workforces in mind can help employees maintain a strong connection. One such platform, provided by Cerkl, enables communicators at companies of all sizes to make stronger connections with employees. How? By using existing and syndicated content and personal preferences to create customized newsletters for each employee. The platform allows employees to decide what information is important to them, as well as the time at which they want to receive the information each day, week or month. Communicators can push out important information to all employees and analyze the data and feedback to better inform decisions regarding content generation. In the end, it can help create a win-win for employers and employees by facilitating a better connection between content and comprehension. Making a connection extends beyond just a physical touchpoint with employees. Using mobile apps to unifying teams can also help create a sense of belonging for the employee. This, in turn, helps foster better dialogue, accountability and, ultimately, brand ambassadorship. All of which are good for the bottom line! Instant messaging apps allow employees to collaboration anywhere in the world, and can boost energy, enthusiasm and productivity. There are even some apps out there that give employees a chance to recognize others on the team for a job well done. Making a connection goes hand-in-hand with consistency. If you want messages to hit home, we recommend ditching the “one-and-done” mentality. How many times have you heard a leader say, “We communicated that change via email last week. Why doesn’t Bob know about it?” We’d venture to say it might be because he’s part of that 80 percent. And even if Bob did see the message, he was probably busy dealing with an issue in the field and dismissed it within seconds. Bottom line: For messages to stick, they must be consistent, frequent and repetitive. Another way that organizations can be more consistent in how they communicate with employees is by using a reliable process for sending and sharing information. For example, organizations can improve interactions and dialogue between teams by using a web-based project management software to document activities, share information and assign work. Such a tool allows individuals to keep track of progress regardless of where they are physically. It also enables them to stay plugged in on conversations that may have occurred while they were busy doing something else. This prevents gaps in knowledge and lets employees pick up where others left off to keep initiatives moving forward. Technology that can enhance employee communication and collaboration seems like a no-brainer, right? The challenge is finding the right combination of technology that can drive you forward at just the right speed. And the key is to select tools that help your teams interact more efficiently and effectively to improve both internal engagement and the customer experience. For more ideas on how to enhance employee engagement, including how to better reach mobile workforces, contact us. Sign up today for our free quarterly mash-up that provides leadership strategies, practical how-to’s, tips and tricks and more. Key messaging missing the mark? Here’s how to fix it. IronStrike is a WBE-certified company that specializes in helping organizations manage change through effective employee and leadership communications.